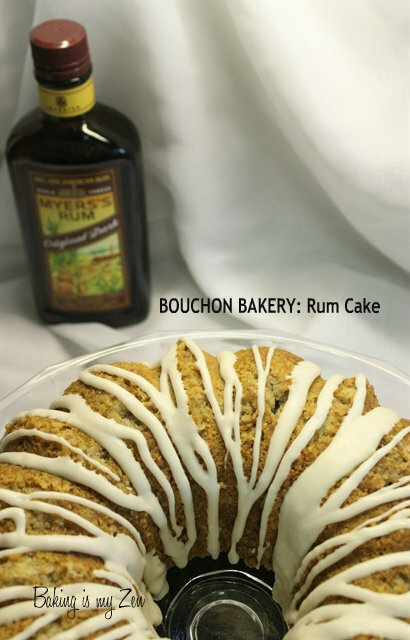 This recipe gave me a good excuse to buy a bottle of rum. I used Diplomatico Añejo aged rum. Although it seemed silly to buy a whole bottle of rum just to use less than 1/2 cup, but I guess I'll just have to drink the rest! I decided to make mini bundt cakes instead of one big bundt cake. Minis are more fun and easier to share. While reading through the recipe, I was shocked at the sheer volume! I just barely had enough almond flour, and went through 10 eggs to get the required 2 cups. The first batch, I followed the steps exactly, brushing the tins with butter, freezing it and dusting it with sugar. This batch turned out great, a bit crunchy on the outside and very light and fluffy. But seeing as I had so much batter and could only bake 6 mini cakes at a time, I took a shortcut with the rest. I used baking spray only and they turned out fine, but darker. I also had a bit of a problem while baking, the power went out twice while I had cakes in the oven, but the residual heat finished them off and they all turned out fine. PS- I got a little crazy with my photo this week. 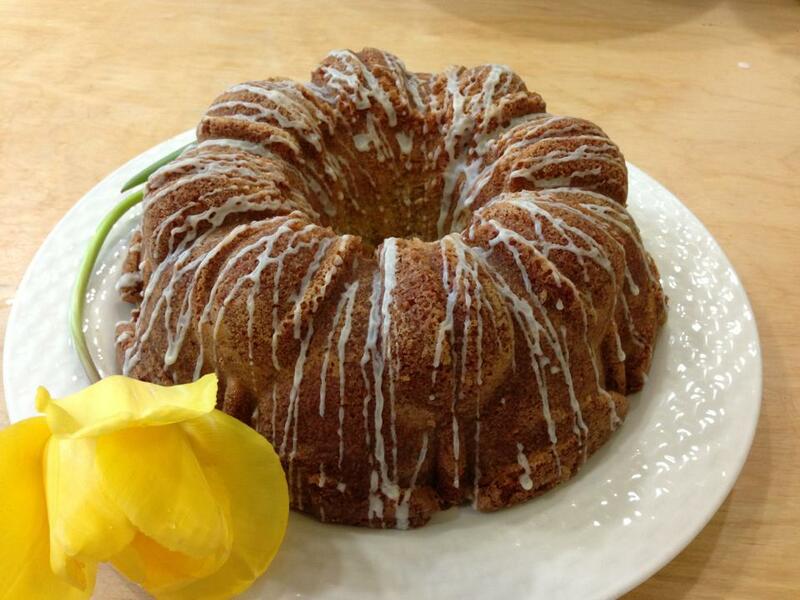 I always thought, the one thing the Abbey Road album cover needed was a giant bundt cake. This recipe was so simple and fast to make. I love rum cake and this was my first baking of one ever. I have nothing to add or to tell of a catastrophe making this cake. The pommade method is second nature to me now and I can whip up a recipe much more efficiently than when I began to bake from Bouchon Bakery Book. What I am pleased about is that homemade cakes normally come out different from those perfect cakes made from a box. This homemade cake is PERFECT and better than I expected! The crumb is moist and I understand that besides the flavor of the almond flour and the rum are an excellent pair but the almond flour is a more sturdier flour and soaks up the rum and does not fall apart. The cake is delicious and I will make this cake again when I have a dinner party as I used the anniversary bundt pan which makes 15 servings. Since I only have an 8 cup cast aluminum bundt cake pan, I made half the recipe. I am glad that I did. I was disappointed with the result, only because I have eaten the delicious Tortuga Rum cakes from Grand Cayman that Sebastien had come to like as his favorite. This version of Rum cake lacked the rich rum smell and taste as I have remembered. The texture of the cake was very dense and heavy even after brushing on the rum sugar syrup. More like a dense rum almond pound cake without any leavening. Do follow the tip to run the almond flour through your food processor and sift it well so the almond flour is finely grounded. No overflow issues with this recipe, since there is no leavening in the batter. The cake expands a small amount but with deflate slightly after it cools. Even for half the recipe, the cake still took 60 minutes to bake at 325F. share, this was one cake you don't want to leave at home. If there are no children in attendance, I would recommend, brushing the cake with straight rum instead of the simple syrup mixture.